Fastest known time attempts continue to be all the rage this summer, most recently with filmmaker J.B. Benna establishing a new unsupported record of the 170-mile Tahoe Rim Trail in 58 hours and 43 minutes. On the other side of the world, French runner and climber Phillippe Gatta is attempting to establish an FKT on a route that would be perhaps the greatest dream adventure (with generous helping of nightmares) for any mountain trekking enthusiast — The Great Himalaya Trail. The Great Himalaya Trail is a network of existing treks and trails across Nepal that together form the longest and highest trekking trail in the world. 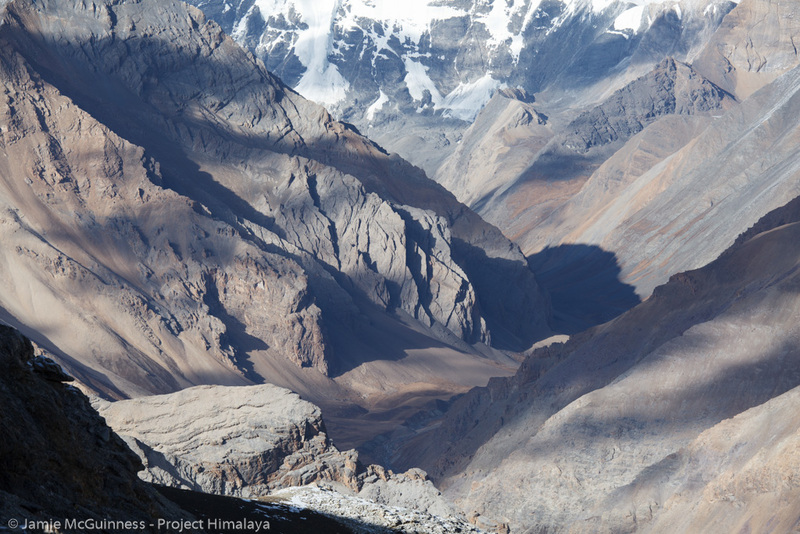 The Great Himalaya Trail is 1,700 kilometers long with more than 88,000 meters of vertical gain. The route passes through jungle, forests, deserts, high alpine plains, rugged and rocky ridges, technical passes, and glacier traverses at altitudes ranging from 880 meters to a staggering 6,200 meters. Temperatures range from 35 degrees Celsius to a chilling 25 degrees below zero. The route isn’t well maintained and is often littered with landslides and other obstacles, and several passes qualify as technical climbing. Gatta aims to complete the route in forty days. Phillippe and Anna Gatta in Nepal. 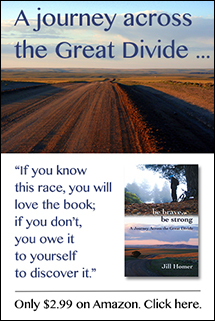 Although supported by his wife, Anna Gatta, who will also join him on several sections of the trail, the remoteness of the region requires Phillippe to be largely self-sufficient. For one particularly remote section he is likely to travel seven or eight days without meeting anyone. To add even more to the challenge, on the 30th day Philippe is planning to complete a speed ascent and descent of Baruntse (7,129 meters). Day One: “Day started ok, good trail but very hot and humid. The 2,000m climb to the first pass was tough. Also hard in last forest, GPS unstable, map crap, many small trails, got lost, saw a fox. I found an abandoned village, sleeping out there. Tomorrow 5km to Melcham then 40km to Gamgadi. Day Four: “Yesterday was hell. Wolf at camp [prophetic below!]. Rain-snow all day, all wet, can’t charge [no sun= no solar]. Mud slides, no trail, river crossing, fell 5 times, 14 hours for 25km. Will go slow today, don’t know what to do if keep raining. I am okay. 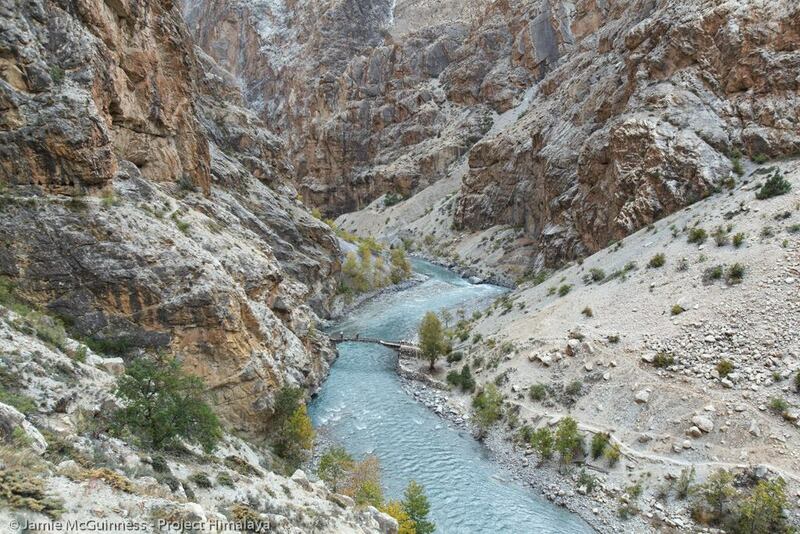 The gorge below Pho village, Upper Dolpo, which Phillppe passed through on day six. Day 6: “Bad start today, snow and dangerous climb of Nyingma Gyanzen La. Got lost and took forever to Pho. People surprised to see someone, and alone. I looked so tired they offer tea (but no food available). First people I saw in 4 days. Sun came, wonderful gorge. Tonight an exposed bivy, hope no rain. Dolpo is tough. 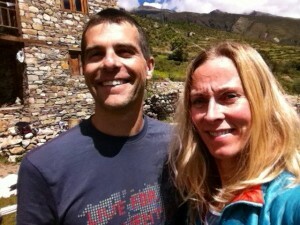 Phillippe and Anna are focusing this run to raise money for an orphanage in Sauraha, Chitwan. They are sponsored by Berghaus. To track the run, visit Phillippe’s Facebook page, or check out his SPOT track at this link.